Comment: Townhome with basement that is unfinished. Need all the insulation removed and cleanup from nesting. Removal of mice with traps and monitoring . Replace insulation. And all clean up. Comment: Carpenter bees keep returning to outside of addition(family room) and shed. Comment: Holes around foundation, under shed. Comment: I think it's a rat, is getting into our kitchen cabinets and eating our dry goods. Three Star Animal Control, Corp.
Danvers Pest Control Services are rated 4.65 out of 5 based on 659 reviews of 11 pros. 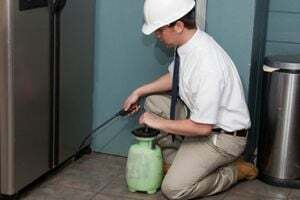 Not Looking for Pest Control Contractors in Danvers, MA?